first and foremost, picture is not mine and isn't this guy is sooooooo adorable?1 omo! 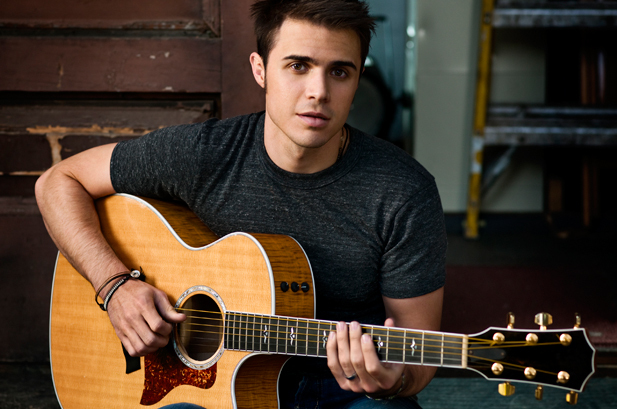 ok, let me introduce this cutie heartthrob with his stage name, Kris Allen. i guess some of you especially the one who didn't following the hollywood scene is having no idea about his existence, right?! he is one of the American Idol winner which is in the season 8, the competence of Adam Lambert! then, came yesterday night when i stumbled upon one vid that using this song as the background music and i was like what a great song! i've never heard the song and who is the singer? LOL. thus, as soon as i got the answer quickly i downloaded the mp3. and here it is when i ended up deeply falling for it, abruptly i'm dying to share with you in here. hehe..
Somewhere far along this road, she lost her soul. To a man so heartless..
what a GREAT sad love song, huh?! heart it especially the chorus part whereby it is soooo addictive! haha..i always love to watch the LIVE version as i wanna really judge whether the singer is a singer or otherwise. hehe..so, here is the LIVE version of the same song. OK, he really got a great voice. heart heart heart it!! yeah! love this songs too!